A domain name is the most important ingredient in your web hosting business. It’s your unique identity, idea or your brand name. After purchasing your domain and your web hosting package, most people face difficulties in synchronizing the two to get their website or application up and running, especially if you’ve purchased the domain and hosting package from two different providers. While the support team of your web hosting providers can help you with most of this, it’s a good idea to understand Nameservers to have some control over your domain name for future changes or migrations, and here’s how you can change nameservers. Some of you might assume that changing Nameservers requires a lot of technical know-how, but that’s not true. All you need to understand is how to change or manage it from your provider’s panel. Every existing website will have an IP address which enables other computers to find that website hosted on a server which stores the domain’s IP address, better known as DNS. If there was no DNS, everyone would have to memorize a series of numbers for every website they wanted to reach. Nameservers actually solve this problem by mapping domain names to an IP address hosted on a particular server that’s most likely going to be provided by your web host. Understanding nameservers is no rocket science, and therefore we know that nameservers are any server with a DNS software installed. Essentially, your IP address has to be stored on the server which helps resolve your website, nameservers addresses this specifically. We generally refer to nameservers as a server owned by a particular hosting company. Its specific function is to manage the domains linked with their web customers. With regards to your solely owned domain name, your nameserver is used to point any of your web customers that type your domain name in a particular web server at a specific web host. In most cases, you may never need to intervene with nameservers your website uses except in case if you wish to transfer to a new hosting provider or when you are are initially hosting your website. This would fairly take anything from 4 hours to maximum of 48 hours to be effective. Your domain name could be anything like “mysite.com” for instance. Since you have a web host, hosting your domain name, you can go to their panel and search for the setting to configure your IP address to their nameserver. Every web host follows a different set of procedure to create a hostname on your domain name and link your IP address to that nameserver. Step1– Login to your control panel. Step 3– Search for the domain name and click on its domain name to reach domain overview page. 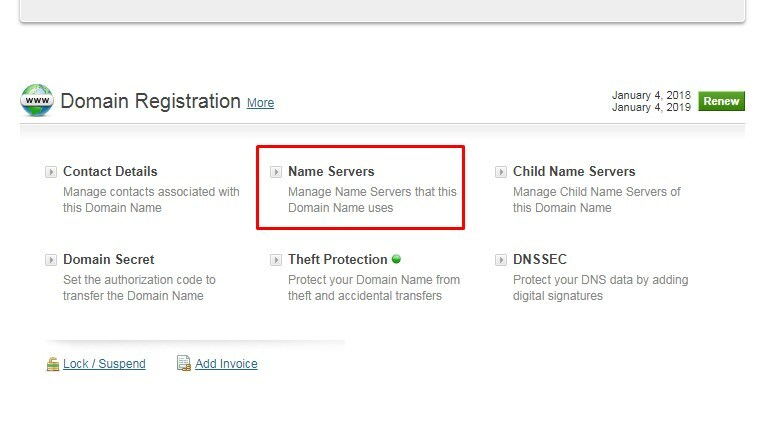 Click on “Nameservers” under the domain registration section and make the necessary changes. 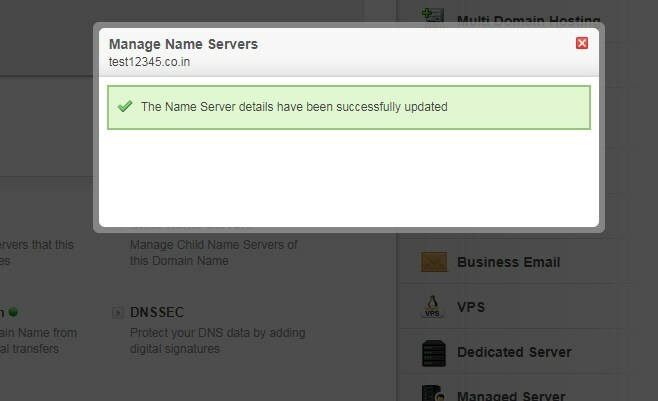 Step 4– Point your NS records to the nameservers and hit update nameservers. After completing all the steps successfully your page should like this. Now you have successfully changed your nameservers. You can now make use of these simple steps and make your website truly yours! ResellerClub helps you easily change your nameservers. You can also refer to this guide. Hope this guide on how to change nameservers was helpful to you. Please leave any feedback or questions in the comments below.